Last month, Liberal Democratic Party Secretary-General Toshihiro Nikai said during an LDP gathering in Tokyo that people who opt not to have children are “selfish” given the country’s demographic crisis. That remark received a lot of attention. However, much less was said about another comment Nikai made during the same speech, that there are no homes in Japan where people go hungry, essentially implying that there are no poor people here. As a matter of fact, there have been several books published over the past year about the country’s changing class structure. In “Shin Nihon no Kaikyu Shakai” (The New Japanese Class Society), sociologist Kenji Hashimoto says that class divisions are widening. Traditionally, there were two classes, an owners’ class and a workers’ class. The rise of the white-collar employee following World War II created a middle class, but in principle even these salarymen belonged to the workers’ class. Hashimoto breaks the current population down into five classes. He defines the owners’ class as those who employ at least five people. They number, in his estimate, about 2.5 million, or 4.1 percent of the working population. Their average annual income is about ¥6 million, weighed down somewhat by the many small business owners who belong to this class. The new middle class numbers 12.85 million or 20.6 percent of the working population, and includes people in administration, engineering and higher education. Their average annual income is a little less than ¥5 million. Then there’s the regular employee workers’ class, the largest group at about 22 million, or 35 percent of the working population. The traditional middle class is made up of self-employed individuals, numbering some 8 million people. Finally, there is the layer known as the underclass, which is made up of nonregular employees and numbers about 9.3 million or 15 percent of the working population. Regular full-time employees are protected to a certain extent by organizations like the Japanese Trade Union Confederations, usually referred to as Rengo, but nonregular employees have very little protection or representation to help them receive raises or gain benefits. 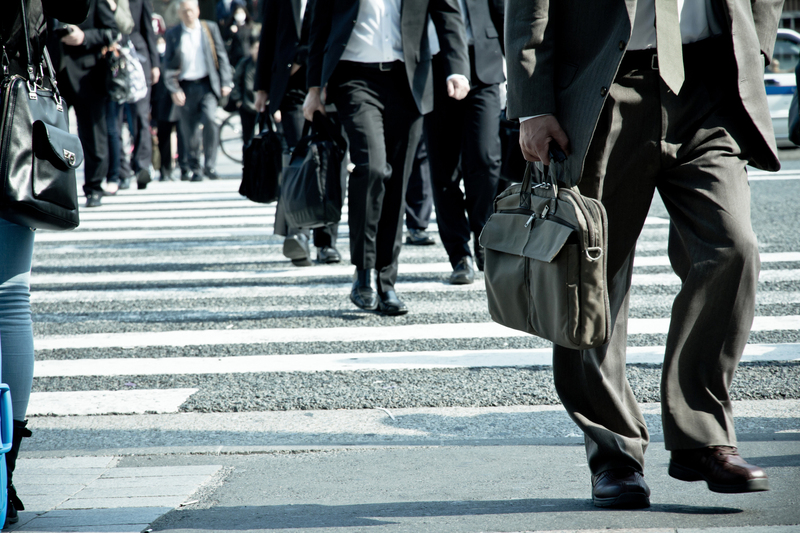 With the exception of women who work to supplement household incomes, almost all part-time workers belong to the underclass, which Hashimoto says has expanded in size in recent decades and become a fixed class. The biggest problem is that once a person is hired as a nonregular employee they tend to be stuck in such a position for the rest of their lives, even if they change jobs. So even if the economy improves, the lives of the people in the underclass don’t. The easiest solution, says Hashimoto, would be to increase the minimum wage, which varies from region to region but tends to be in the ¥800 to ¥1,000 range. If the minimum wage were increased to ¥1,500 an hour, someone working full-time would make at least ¥3 million a year, enough to live comfortably. Even if both spouses only make minimum wage, a couple could count on a household income of about ¥6 million, which would make it possible for them to start a family. But as it stands, minimum wage earners barely get by. The underclass in Japan makes roughly 40 percent of the national median income, while in Europe, the underclass makes anywhere from 60 to 70 percent of the median income, depending on the country. In terms that Nikai might appreciate, Japan is basically divided into two economic groups: Those who can marry and afford to have children, and those who can’t. University of Tokyo professor Yuji Genda edited a book which explores wage stagnation since the dawn of the Heisei Era. Most people blame the country’s lost decade of the 1990s, but since then the demand for labor has gone up, and with an increase in demand, there is almost always an increase in wages. That’s basic economics. But that hasn’t happened here, and Genda partly blames workers themselves for not demanding higher wages. Companies, uncertain about the future, are hoarding cash rather than sharing profits with employees, so it’s up to employees to use their leverage to gain access to that cash, but that would require a certain amount of organization. The most negatively affected demographic is those workers who are now around 40 years old. This group, sometimes referred to as “boomer juniors” because they are the children of the baby boom generation, graduated from university during the recession and many were unable to secure the kind of regular, lifetime employment enjoyed by previous generations. 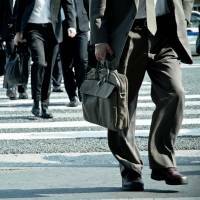 The demographic is large, which is one of the reasons they couldn’t find good jobs—too much competition—but according to Genda’s research, as cited by NHK’s Closeup Gendai news program last December, their salaries grew less than those of people who graduated from university five years earlier—or five years later, for that matter. Between 2010 and 2015, all age groups saw increases in salary except for two. People between the ages of 35 and 39 saw an average drop of ¥4,300 in their monthly pay, and those between the ages of 40 and 44 saw an average drop of ¥23,300. Another culprit, according to Genda, is Japan’s unique recruiting practice, where companies only hire regular staff when they graduate from university. Once a person misses that chance, as did many boomer juniors, they never get another one. But even the boomer juniors who did get regular employment were disadvantaged because companies during that time were saving money in other ways, by cutting back on in-house training programs and delaying promotions and salary raises. They also cut back on middle management positions. In 2005, 26 percent of regular employees who were 40 years old held section chief positions. Ten years later, only 21 percent of 40 year olds held such positions. But what really pulls the averages down for this group is that a good portion were forced to take nonregular jobs right out of university. A 45-year-old man interviewed on Closeup Gendai says he studied engineering in university but could not find a full-time position, and since then he has just held one nonregular temporary job after another. He makes the same amount of money now—about ¥150,000 a month—that he made 20 years ago. And the older he gets, the weaker his prospects become for finding regular employment of any kind. This cohort’s plight has given rise to the so-called 7040 problem: 40 year olds living with their 70-year-old parents. Many, in fact, also live off their parents’ pensions. This situation is especially prevalent among women, many of whom traditionally entered the workforce through full-time clerical positions. Since the ’90s, however, those positions have been filled by lower paid temporary workers with little chance for advancement. Nationwide, 66.8 percent of single women in their 40s and 50s who live with their parents also depend on their parents’ savings and income, with only 26.6 percent living off money they make themselves. These people are not considered poor when the government compiles such statistics, since income is tallied by household, not individual. As far as the government is concerned, as sociologist Masahiro Yamada told NHK, a 40-year-old dependent is counted the same as a 10-year-old one. Once these boomer juniors’ parents die, however, they are on their own and may require public assistance, which will put greater strains on government expenditures. By that time, Nikai might not be as powerful a force in politics as he is now and no one will likely remember, much less support, his controversial remarks.